Letting you Live Life Well into the future. 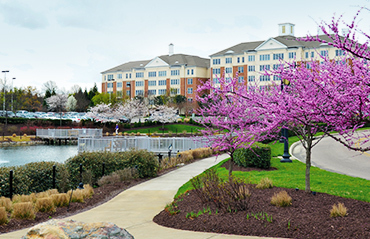 As a Continuing Care Retirement Community—also known as a Life Care Community—Westminster Canterbury Richmond gives you access to healthcare…for life! Knowing you have Life Care is extraordinarily liberating. Why? Because you get to enjoy unparalleled peace of mind about the future now that you have physical and financial security in addition to a more convenient and stimulating lifestyle. You’ve taken charge and planned well for yourself—and well in advance, before an unexpected change forces you and your family to make major decisions under pressure. Life Care enables you to protect your assets from the high costs of nursing care. By choosing a Life Care community, you are securing your healthcare costs now, even if future healthcare costs go up. And if you should outlive your assets, our Westminster Canterbury Foundation Fellowship Program ensures you’ll always have a home here with us. As a nonprofit, faith-based community, we are committed to serving you. For more information and answers to your Life Care questions, click here to contact us now or call 877-277-9908.